Almost everywhere you go, cars are a pretty big thing. Cars enable us to move from place to place, whether for work, school, or play. Cars also enable us to carry things from place to place, such as moving to another town or country, or bringing back the day’s haul from the market. This convenience, however, comes with a complicated price. Not only do you need to buy and insure the car, but you also have to refuel it. Depending on vehicle age, type, and condition, refueling can be an expensive proposition. For example, let’s compare a new Toyota Prius hybrid electric vehicle, which gets over 50 miles per gallon, with an older model Toyota HiLux, which may get less than 20 miles per gallon. The average person, driving 15,000 miles per year, might spend $750 per year in fuel to run the Prius, while it would cost over $2,000 per year to run the HiLux. In addition to this, however, is the uncounted cost to the environment. According to the United States Environmental Protection Agency, transportation emissions account for about one-third of national emissions, another third generated by power production, and another third by industry, agriculture, and other business sectors. The amount of greenhouse gas emissions, specifically carbon dioxide (CO2), is directly related to amount of fuel burned. In other words, better fuel economy equals fewer greenhouse gas emissions. The eco-friendly Toyota Prius generates, on average, 179 g CO2/mi (grams carbon dioxide per mile), 2.7 tonnes per year, while the Toyota HiLux generates nearly 500 g CO2/mi, or 7.5 tonnes per year. We would all love to do something to save on fuel and reduce greenhouse gas emissions, but not all of us have the means to purchase the latest in fuel-efficient vehicles, such as hybrid electric vehicles or even battery electric vehicles. Working with what we have, however, we can maximize the fuel economy potential of the vehicle we already own, and it all boils down to common sense. • Change the engine oil and oil filter regularly. • If applicable, change the transmission fluid and filter. • Keep tires inflated to the specified pressure in the owner’s manual. 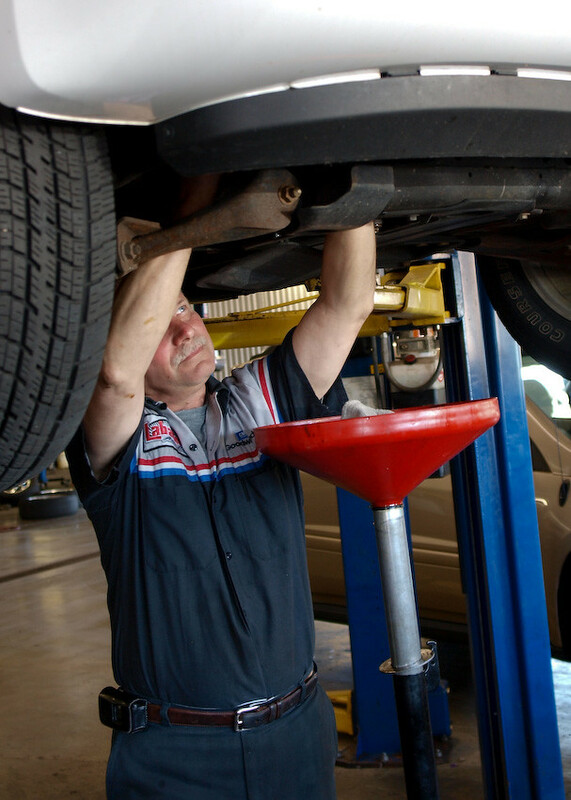 • Have your brakes inspected to make sure they aren’t dragging. • If your check engine light comes on, have the fault repaired immediately. • Drive calm – Aggressive driving wastes gas! • Stick to the speed limit – The faster you go, the worse your fuel economy. • Lose weight – Well, of course having a healthy body weight is great for your health, but removing excess weight from your vehicle is better for your fuel economy. • On the highway, use cruise control – The better you can maintain speed, the less you have to accelerate and decelerate, which wastes fuel. • In the city, if you expect to idle for more than thirty seconds, shut off your car – Running the engine, while going nowhere, is an effective zero-miles-per-gallon waste of fuel. • Unless absolutely necessary, keep cargo inside your vehicle – Roof racks and cargo boxes seriously disrupt the aerodynamic flow of air over your vehicle, reducing your fuel economy. • If driving a pickup, install a bed cover – This helps improve the aerodynamics of the vehicle, improving fuel economy slightly. • Consider opening your windows – Using air conditioning burns slightly more fuel than just using the fan. • Park inside or in the shade – On hot days, it’s very tempting to crank up the air conditioning to cool off a car that’s been sitting in the sun all day long, which uses more fuel than necessary. • Resist the urge to “warm up the car” – On cold days, it’s tempting to “warm up the car” before leaving. The car will warm up faster if you’re driving it, anyway. • Combine trips – If you have a number of small errands, try combining them into one day of errands, instead of short trips every day. Long trips allow the engine to heat up fully, so it runs at its most efficient. Protect your wallet and the environment. Eco-optimize your car today and save. In addition to eco-optimizing the vehicle you’re already driving, there are also a number of things that you can do to reduce your environmental impact. For example, the next time you have your oil changed, consider making the switching oils. Synthetic oils are not dependent on petroleum deposits and their inherent environmental problems (Think: Deepwater Horizon). Certain synthetic oils may also last longer in your engine than conventional oils, which means you may be able to change your oil less often. Recycled oils are also independent of petroleum deposits, and is a great way to give conventional oil a second life. When you wash your car, look for eco-friendly car care products. Today, natural products can do just as good a job cleaning and shining your car as competitive chemical products, but aren’t nearly as toxic to the environment. Look for waterless car wash solution to reduce the amount of water used for washing. If using a car wash facility, look for one that uses solar water heaters and biodegradable soaps, which generate fewer emissions in themselves and fewer water and soil contaminants. By making just a few simple changes in our way of thinking, we can each make small reductions in refueling costs. Additionally, the less fuel we burn, the fewer CO2 emissions we generate, which is better for the environment. How Much Is Maintenance Worth? What Engine Works Best For You?